Northern Walnut Creek Trail | Milwood Neighborhood Assoc. 10/6/2018 update – construction of the final phase of the Northern Walnut Creek Trail in Balcones Park is moving along – walls and drainage culverts have been installed. 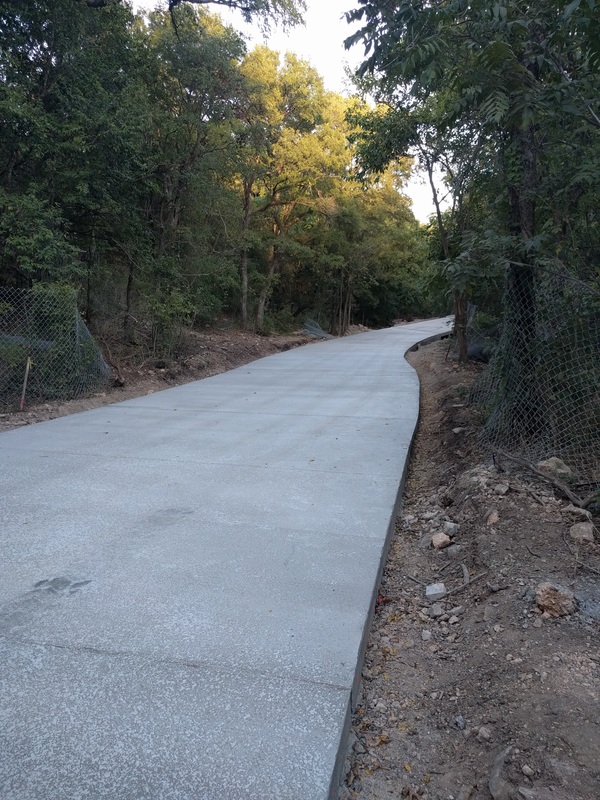 Concrete pours for trail surface will be starting very soon, weather permitting! 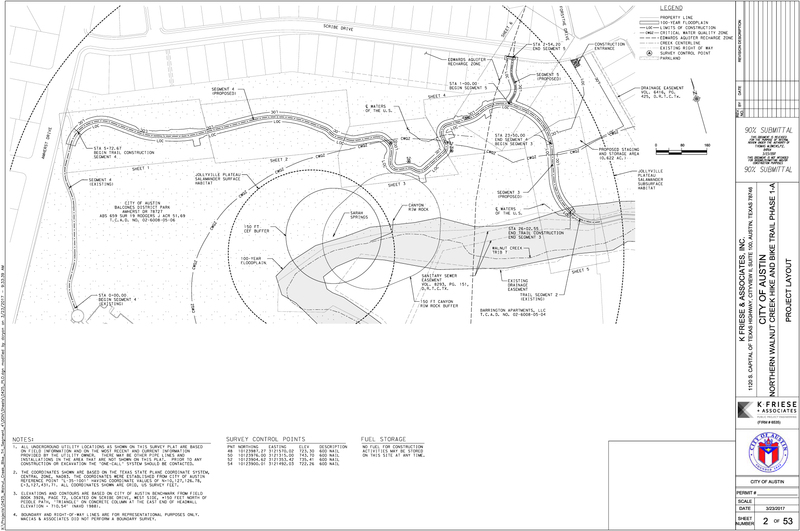 The City project to extend the Northern Walnut Creek Trail to Amherst is underway. Construction is expected to last approximately 6 months. This work has closed several trails – so we have put together a map to help navigate around the work area: 2018 NCWT DETOUR Please respect the “Trail/Sidewalk Closed” signs and “Restoration in Progress” signs. Also, please do not cut new trails – if not properly located new trails can cause soil erosion and damage vegetation. Some of the restoration in progress signs are a result of such trails. We will work with the City after construction is complete to reconnect existing trails where possible. “The City’s contractor has completed segment 2 of the trail in the park and begun planting trees. Once complete they will haul off any debris, remove most of the staging area fence, replace the backstop, and revegetate the park. Final trail segments (3, 4 &5 from the ball field to Amherst -see map below). 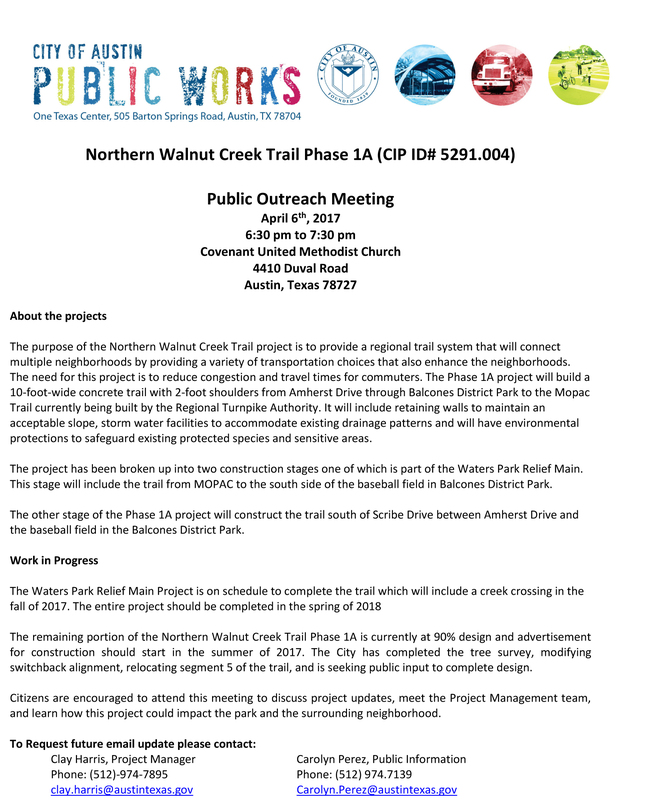 “The City of Austin continues to make progress on executing the contract for the Northern Walnut Creek Trail PH 1A project (5261.004) project. Below is an update on current and upcoming work. 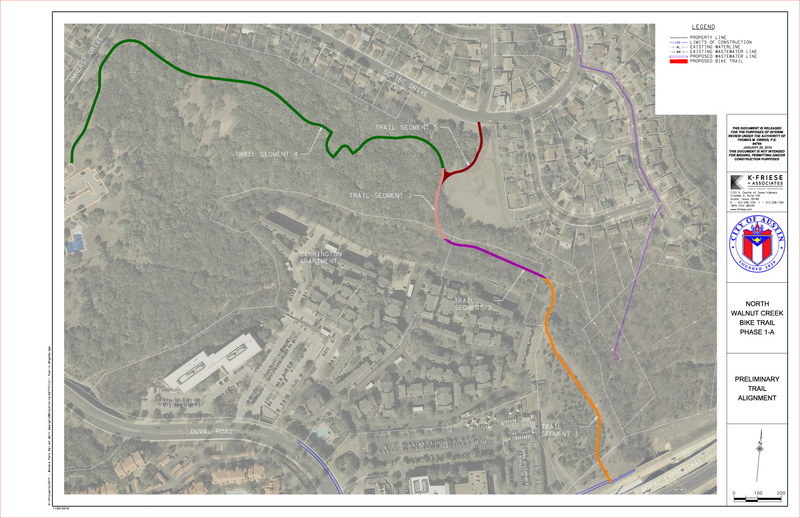 The current project that includes trail segment 1 and 2 (from Mopac to near the ballfield on Scribe drive – see map below) is nearly complete! the Trail has been poured, but a few retaining walls and curbs still need to be completed, as well as signs and landscaping, but the big parts are done! Plans have been finalized and approved for the last trail segments (3, 4 &5 from the ball field to Amherst -see map below). According to the City, the project is set to be advertised for construction on 9/25/2017 and will be completed next year. 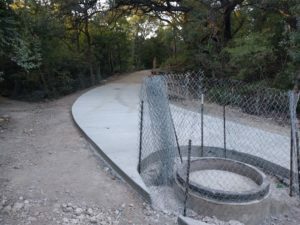 We have been working very hard for YEARS to get this trail completed in a way that provides the best alignment for the users, park, and the environment. And we are SO close! This will likely be our last chance to weigh in on the plans and timeline. A high attendance will definitely show our neighborhoods’ passion for this trail to happen and happen quickly and result in the best product. The city has been working to hear our requests which have included shortening the project’s timeline, the alignment, the grade, the low water crossing and more! So we are thankful of that and it moving in the right direction BUT the more bodies we get there tonight, the better off we are. 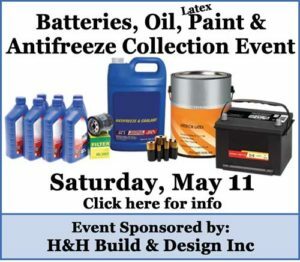 If you can – please attend. 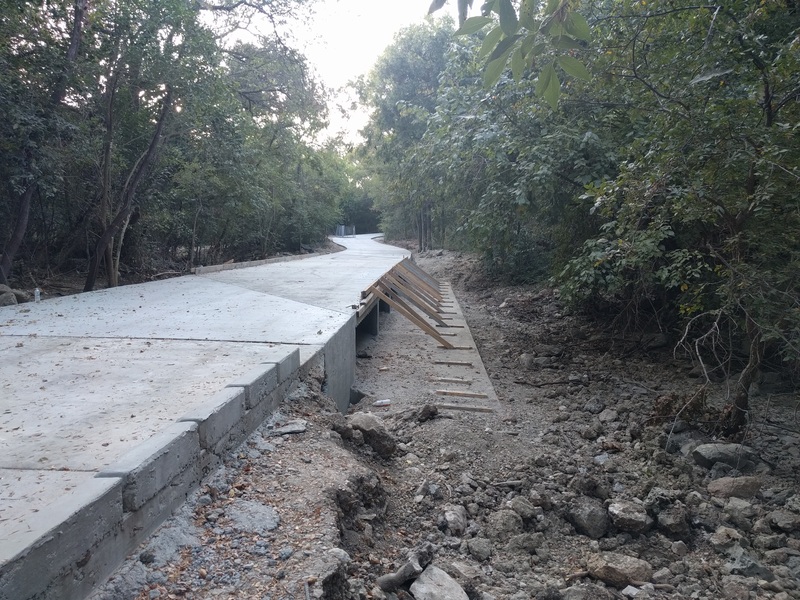 We will also be giving a brief update on the Creekside Trail Repairs and that $117,000+ grant of which we still need to raise $6,000+ in matching funds! 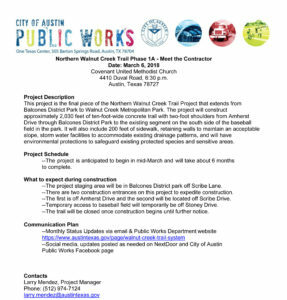 Specifically, the meeting will be covering the Northern Walnut Creek Trail Segments from Mopac until connection into the trailhead in Balcones Park. 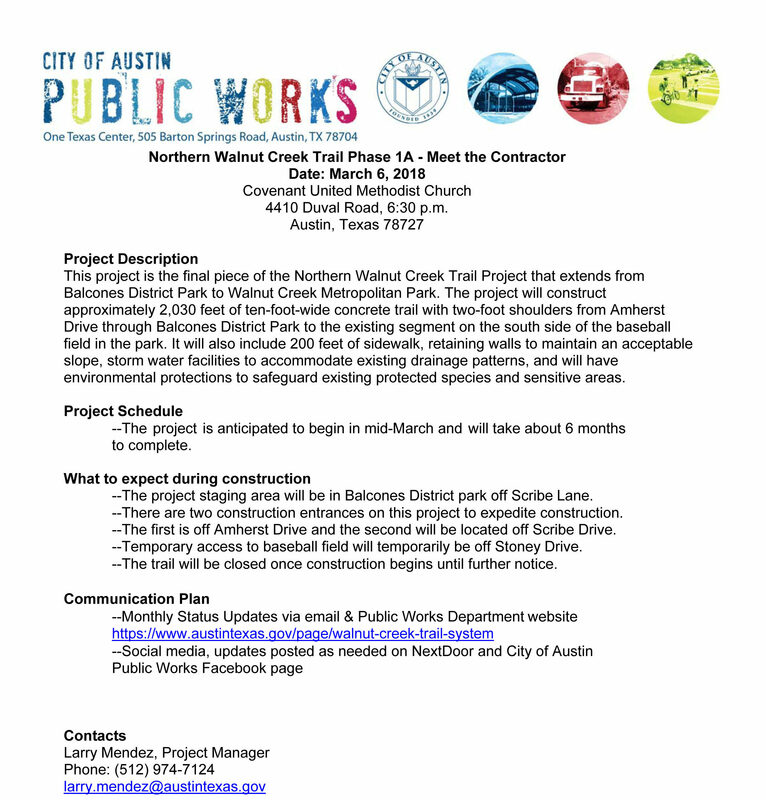 Also to include the northern stage of Phase 1A (segments 3, 4, and 5) south of Scribe Drive between Amherst Drive and the south side of the baseball field in the Balcones District Park. Also a huge shout out to Erik Harris who has poured so so many hours into this project! Also Thanks to Clary Harris and Public Works staff who have graciously been working to implement our feedback into the trail design!